–Abraham Lincoln was ambivalent to food, and often forgot to eat meals. One of the few exceptions was his wife’s almond cake. You might think of our third president, Thomas Jefferson, first and foremost as the author of the Declaration of Independence, but he was also quite the foodie. His experiences as a Virginian farmer, ambassador to France, and curious inventor provided him with a sturdy foundation for building on his culinary expertise. This man was obsessed. Obsessed. And I am obsessed with him. Stay tuned for the 4th of July when I go overboard with TJ recipes, including his signature vanilla bean ice cream. 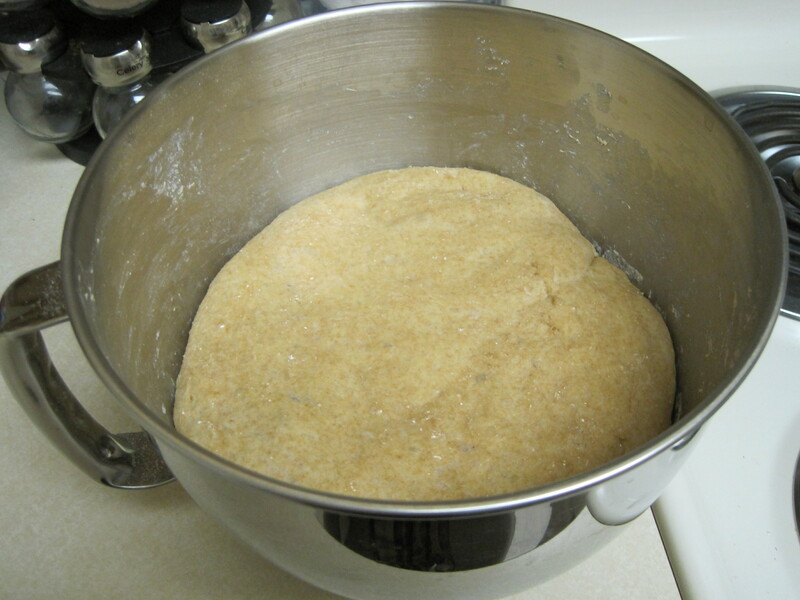 Mix flour, yeast, and water. Dough will be very sticky. Coat your hands in flour before kneading the dough. 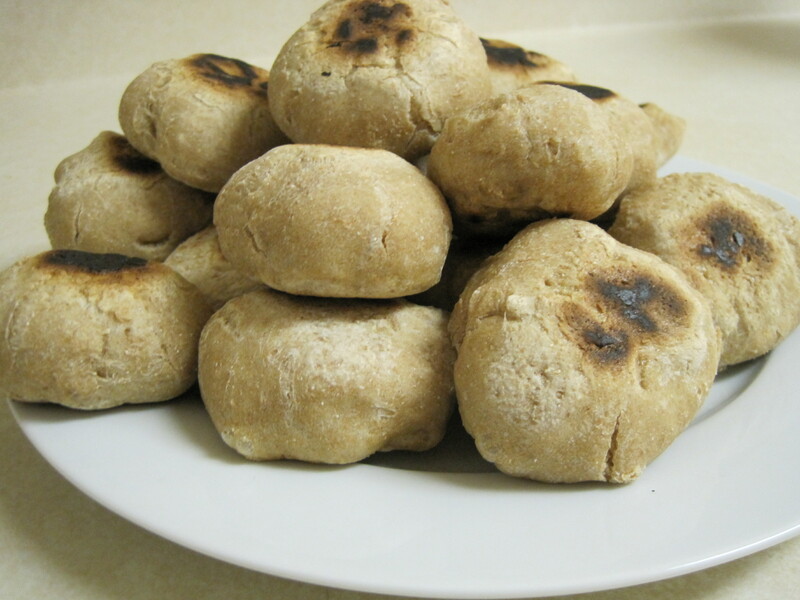 While kneading, continue to add small amounts of flour to the dough until the stickiness disappears and the dough becomes more solid. You may add as much as 1/2 cup more flour during this process. 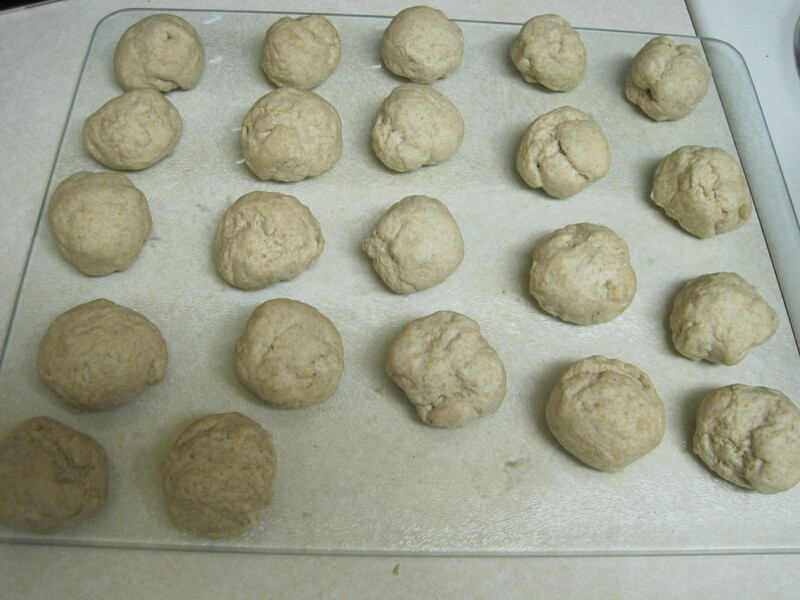 Put the dough in a large bowl, cover with a towel, and leave in a warm place overnight. The dough should more than double by morning. The underside of the dough may be a bit sticky — if so, knead it a bit more. Using your hands, shape the muffins into small golf-ball sized balls. Set the muffins aside, cover with a towel, and let rise for an hour. 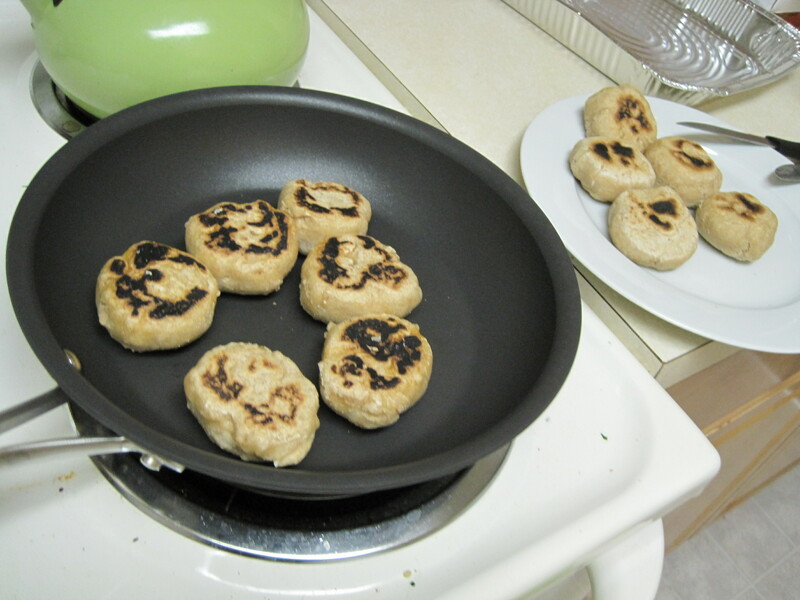 Preheat ungreased griddle or nonstick pan over medium heat. 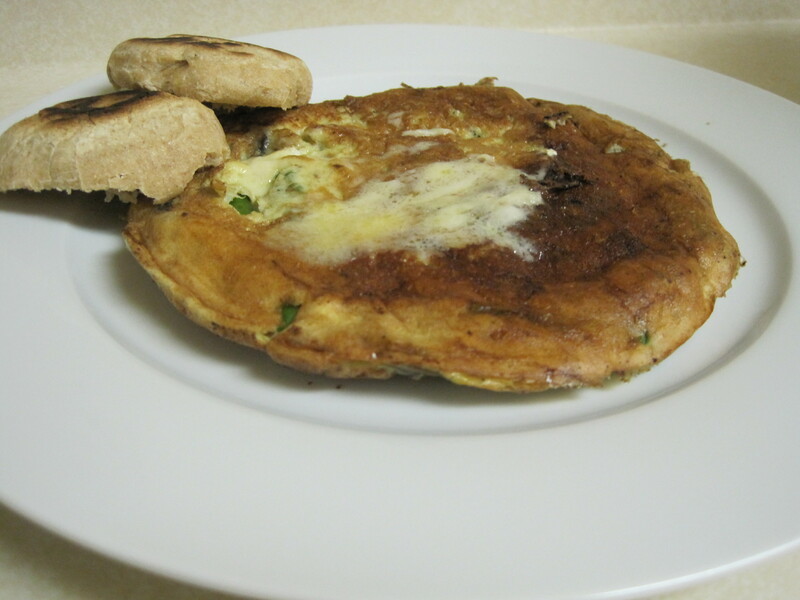 Add shaped muffins to griddle and cook for about five minutes on each side. 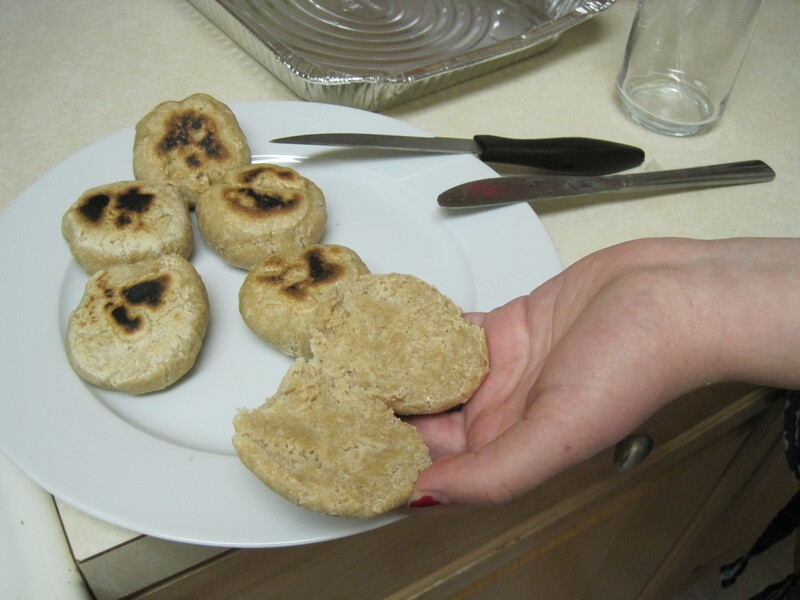 The muffins will look like biscuits on the outside and English muffins on the inside. Serve immediately with honey or jam. Makes two dozen small muffins. Hand dug right in, with lots of honey and butter. Check back tomorrow night for more presidential food facts, resources, and a delicious lemon rice pudding from President Grant. Maggie, Hilary, the Hand, and I all tested it tonight and it was fantastic. Right now it’s off to bed so we can all be ready to bundle up and head out in 6 hours! This entry was posted in Uncategorized and tagged bread, breakfast, famous figures, food history, History, Thomas Jefferson. Bookmark the permalink.